Cambridge Hills - Sought After Forsyth School And Home Is Only 3 Miles From Ga 400, Shopping, And Restaurants. MLS#8552715. Solid Source Realty Ga.
Shiloh Woods - Too Much To List. Must See! MLS#6527183. Compass. Concord Farms - This Home Is Truly Move-In Ready. MLS#8551877. Keller Williams Community Ptnr. Easy To Qualify, Easy To Purchase Call Today! MLS#8551161. Superior Advantage Realtors. Highlands At Sawnee Mountian - This Is A Must See So Make An Appointment Today! MLS#8550441. Keller Williams Rlty Atl. Part. 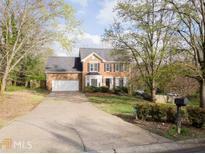 Burnt Hickory - Minutes To Great Restaurants, Shopping, & Top Rated Schools MLS#8549494. Solid Source Realty Inc..
Saddlebrook - Amenities Include Pool, Playground, And Access To Walking Trail. MLS#8550215. Homesmart Realty Partners. Sawnee Corners - Hoa Provides All Landscape And Most Exterior Home Maintenance. MLS#6524863. Keller Williams Realty Community Partners. Pilgrim Lake - Garage Has Climate Control Ready For Your Man Cave Or Workshop, Wired With Surround Sound. MLS#6524669. Harry Norman Realtors. Orchards At Habersham - Close Knit Community W/ Frequent Socials And Clubhouse Events. Close To Costco, Dining, Hospitals/Doctors. MLS#6523328. Drake Realty Of Ga, Inc.. Within 3 Miles - New Halcyon Location & Big Creek Greenway! MLS#6524213. Re/Max Paramount Properties. Hearthstone - Master Bedroom Is Over-Sized With A Tray Ceiling, Master Bath Has Dual Vanities, Glass Shower, And Separate Garden Tub. MLS#6524147. Realty One Group Edge. Immediately Reap The Benefits Of Pleasure, Value And Convenience When Making This Your New Home! MLS#6523706. Berkshire Hathaway Homeservices Georgia Properties. 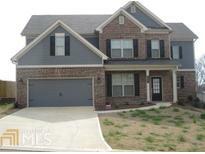 Townhouses At Lanier - Located Minutes From The Lake, Parks, & Shopping! MLS#6523548. Maximum One Premier Realtors. Modern Kitchen Has Granite Counters, Stainless Steel Appliances & Gorgeous Backsplash. MLS#8549088. Keller Williams Rlty.North Atl. Swim Tennis Community With A Beautiful Clubhouse And Lighted Tennis Courts. MLS#6523766. Berkshire Hathaway Homeservices Georgia Properties. 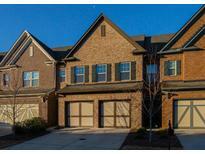 Villages At Castleberry - 4 Years New In Forsyth County - Don'T Miss Out! MLS#6522757. Berkshire Hathaway Homeservices Georgia Properties. Fieldstone Preserve - Full Recent Appraisal Available As Estimated Values Are Incorrect. MLS#8546564. Sellect Realty, Llc. Near The Collection At Forsyth Shopping Ctr, Ga 400. Excellent Schools. MLS#6520925. Keller Williams Realty Chattahoochee North, Llc. Homes Include The Reserve, Estate, And Luxury Packages. L (File Photos) MLS#8544857. Park Place Brokers Inc..
Homes Include The Reserve, Estate, And Luxury Packages. L (File Photos) MLS#8544854. Park Place Brokers Inc..
Homes Include The Reserve, Estate, And Luxury Packages. L (File Photos) MLS#8544850. Park Place Brokers Inc..
Thorngate - Wonderful Convenient Location With Easy Access To Shopping, The Collection And Route 400. Great Forsyth County Schools. MLS#8544830. Solid Source Realty Ga. The Gates - Hoa Low Fee, Swim/ Tennis. Welcome To Your New Home! MLS#8544773. Berkshire Hathaway Homeservices Georgia Properties.